Masterclasses are in full effect over at StampNation. Our first class is "Creative Mediums for Card Making" by Faber-Castell and some of the SN designers. Creative mediums aren't really my thing, but Jennifer (from Faber Castell) had me running to get my Gelatos after I watched her two part video, "Gelatos 101". Who knew there were so many fun and easy ways to use this product?! I tried two of the techniques from her video. First I colored with Gelatos directly onto a stencil. 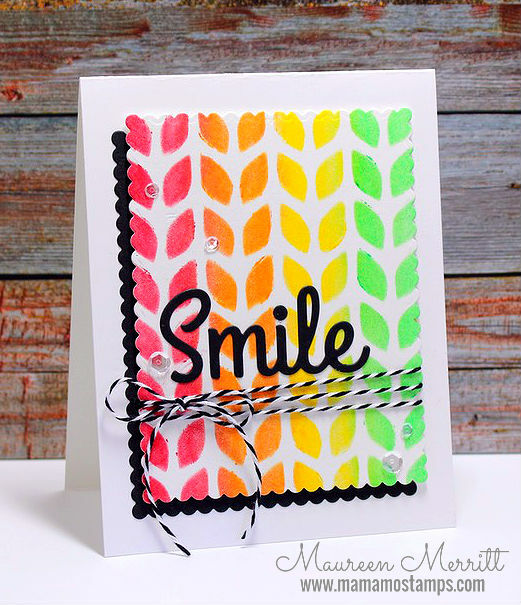 I placed the stencil over a piece of white card stock and then, using my finger, I swiped the pigment onto the card stock! 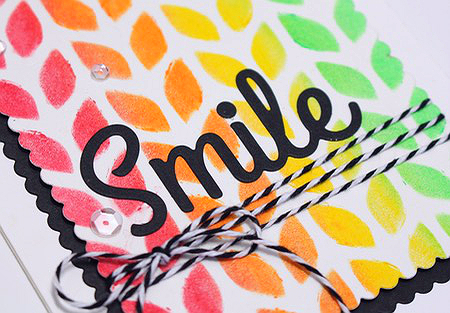 This technique was so quick and easy, it took at least a 1/4 of the time it takes to sponge with ink over a stencil! 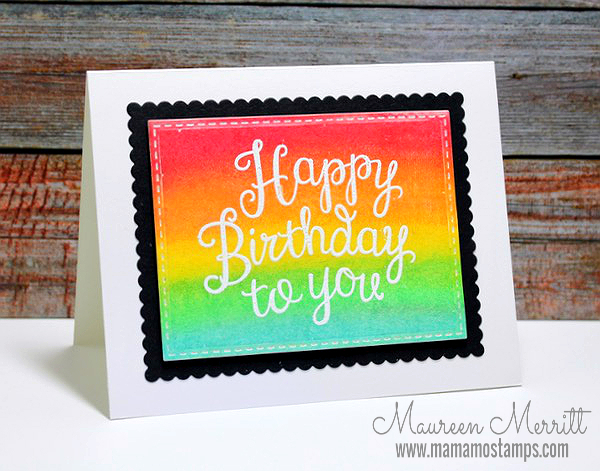 For the second technique, I colored with Gelatos directly onto my card stock and then blended the pigment with my fingertip. Gelatos are very forgiving, that's what I liked most about them. If your color isn't bold enough, add more pigment and blend again. If you aren't happy with your color, you can basically just wipe it right off. Very cool! Want to check out our Masterclasses? Join us at StampNation! Here's a list of Masterclass that we will have through the Summer and into early Fall. Such happy colours. This first masterclass motivated me to get my gelatos out of hiding, and I am loving it. 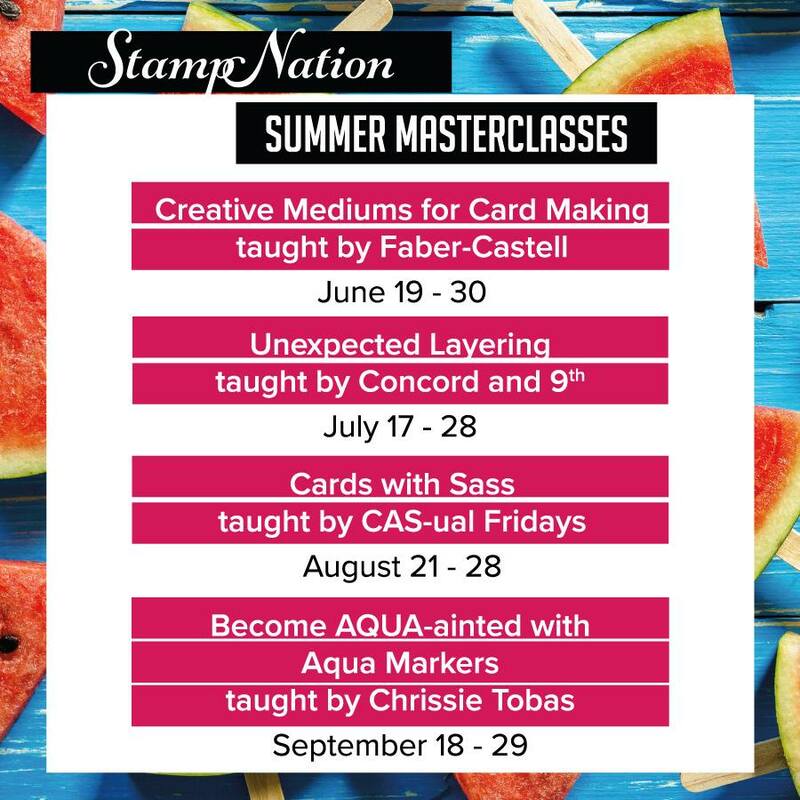 In fact, the upcoming masterclasses motivated me to join StampNation (again) earlier this month, and I have already linked up two gelatos cards.